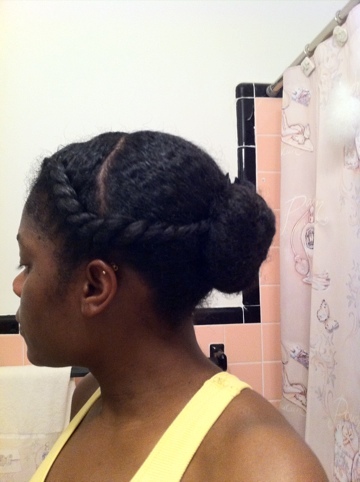 So remember the Two Flat Twists & A Bun that I tried before? I got the style idea from Mrs. The Bronx over at Heavenly Hues & Hair Do’s <~~ That's her version of the style. I absolutely LOVE the style on her, but I didn't really love it so much on myself. It might have something to do with her gorgeous hair color too. 3. I discovered that my hair can go into a bun, so my ends would be protected. Sounds like I'm winning all around! …and here it is! Look, I even put a flower in it! So what if it's black and camouflages. Lol. 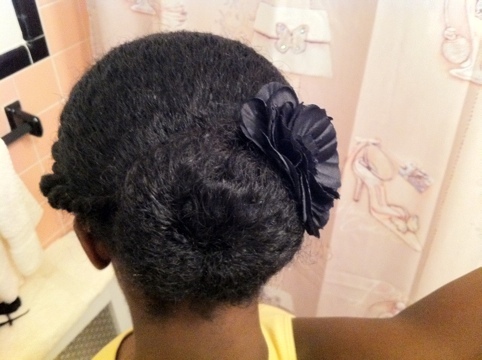 Girl I tried this style when I first became natural. Looking good. I didn’t like the look on me one bit though, because I felt too homely like a old lady. I re-visited some mini twist that I did last December. My hair then could have been placed in a ponytail only with the help of hairpins that secured the smaller sections in place. I am currently wearing the mini twist and all my hair fit into a ponytail without hair pins. With this style I feel really juvenile, maybe it’s because i like wearing my hair out. But with this Hairscapades GOC I challenge myself to hide the ends of my hair 80% of the time per month. 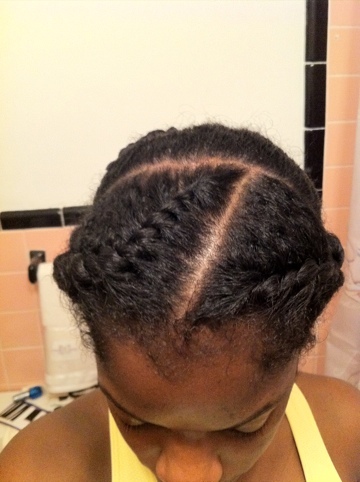 Have you attempted the mini twist before? 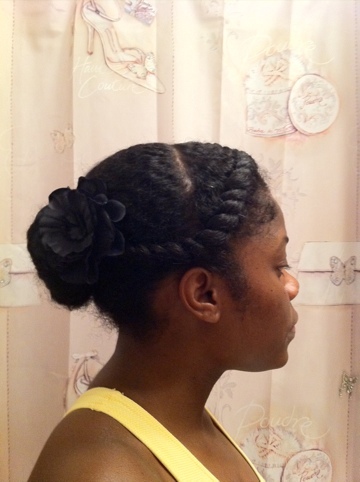 I tried the mini twists and that was when I realized that I couldn’t part the hair in the back of my head. I did it the best I could, but it didn’t look like an actual style on me. It always looks like it’s the prep for a style. Maybe when it gets longer it’ll look different.